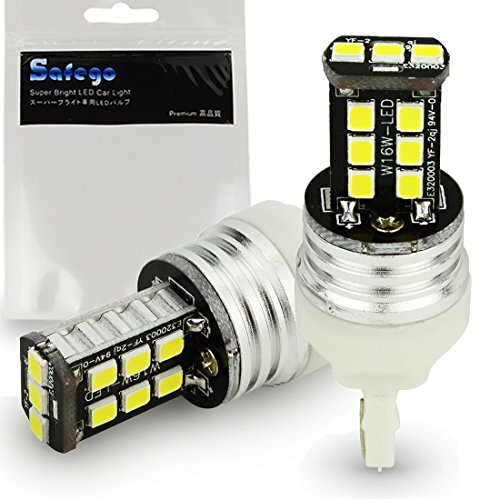 Features: LED: 2835 PX Chipsets Color: 6000K Xenon White. Size: 56mm(2.2") long and 20mm(0.79") in diameter. For most vehicles and 12V low voltage lighting use Fits: 7440 7441 7443 7444 992. Unique 360 degree lighting ensures optimum visibility Use for back up reverse lights,turn signal lights,tail lights. Recommended Reason:High performance price ratio,strong light intensity and low current output,Can provide enough brightness and save a lot of energy for your car.